Golden Eagle sits on 210 acres of land that was formerly a private preserve. With more than 130 feet of elevation changes, you will experience some of the most breathtaking views in the Brainerd Lakes area. 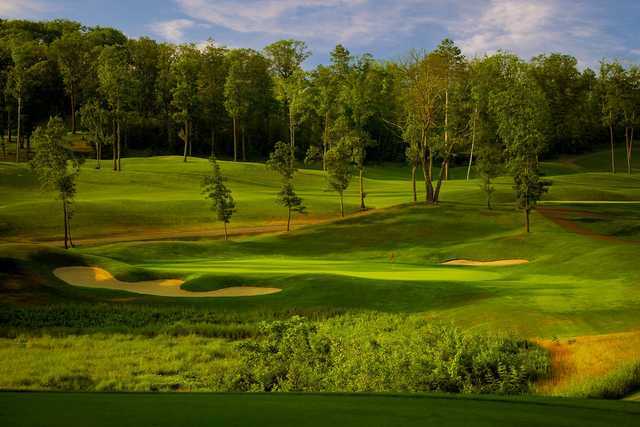 Built in harmony with the majestic north woods, playing the course is a truly memorable experience. The course has been ranked in the Top 20 Courses in Minnesota by Golf Digest’s “Best in State,” and awarded the 2004 “Golf Course of the Year” by the Midwest Golf Course Owners Association. Designed by Mike Morley and Bruce McIntosh, the club provides a fair and fun challenge for every skill level. For Stay & Play packages, check out The Cottages at Golden Eagle.